If you ask me, it’s a little too late to be thinking about last-minute Christmas shopping now. I’m pretty organised and tend to get all my Christmas shopping done by the end of November at the latest, and god forbid I should realise I’d forgotten something at this point – it’s too late to order online anywhere and I genuinely believe hell will freeze over before I go ANYWHERE near a shopping centre in the last few days before Christmas. It IS time to start thinking about sales shopping, though. Sadly (but sort of excitingly! ), my sales shopping this year won’t be full of frivolous purchases as it usually is. You see, Colin and I are moving out of the house that we share with his brother at the end of January and into our own place – finally. You have NO idea how happy this makes me, but it does come with the added pressure of buying all those little home necessities that we tend to take for granted. 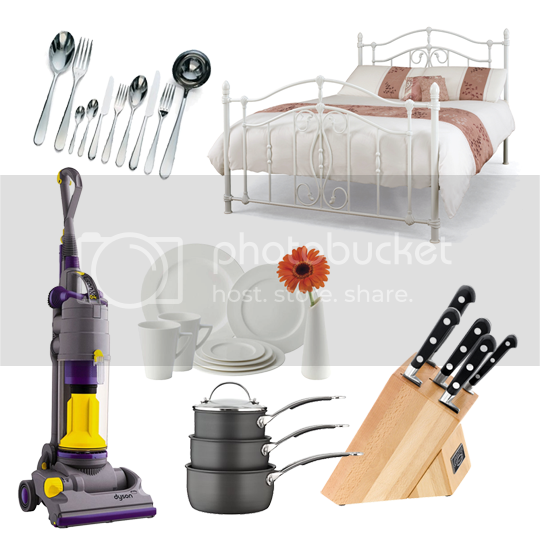 You know the kind of things I’m talking about – towels, bedding, saucepans, frying pans, utensils, kitchen knives, cutlery, crockery, cushions, blinds, a hoover, cleaning products… you get where I’m going with this. The more I think about it, the more I realise how much this is going to cost (even in the post-Christmas sales!) and that I won’t be able to buy a ton of unnecessary makeup, clothes, shoes and all the pretty things that sales were made for. Sigh. I think I’ll make an allowance for ONE thing each for Colin and I, but they’ll still have to be practical. Perhaps a new coat each? I need something long, warm and preferably with a hood because carrying an umbrella just annoys me. Any ideas? As for Colin, he wouldn’t go into a sports shop if you paid him but I happen to know that JD Sports have a fantastic range of men’s jackets that I know for a fact he would like so I’ll just have to surprise him. What will you be buying in the sales? Please tell me something pretty and fun – I want to live vicariously through you! On a more serious note, if anyone has any recommendations for a place to get any of the boring grown-up stuff mentioned above I would be very grateful! JD Sports sponsored their mention in this post. Debenhams is definatly best bet for bedding though if you can get some at 75% off. Ahhh congrats on the move, Im sure youll love having your own place and its fun buying house things! I will be buying myself some gorgeous new heels for New Years Eve!